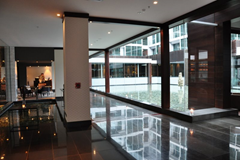 The first hotel we stayed at certainly gave us a nice soft landing in New Zealand – The Westin Auckland Lighter Quay. 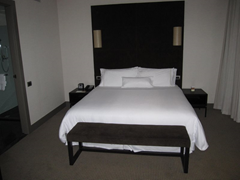 We were able to use Starwood Points that we had been awarded as compensation for problems we had while staying at the Sheraton Maui. At the end of our complaining about the Maui hotel, we had enough points to get 2 nights free in Auckland, and the third night was going to be $260 a night. 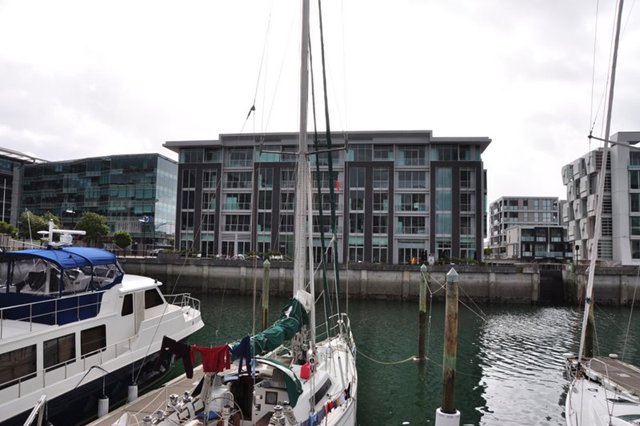 The hotel itself is in a commercial/industrial district right neck to the Auckland Quay. Although there is nothing in the area itself, it is only a short pleasant walk (10 minutes) along the waterfront to the restaurants and activities of the quay. 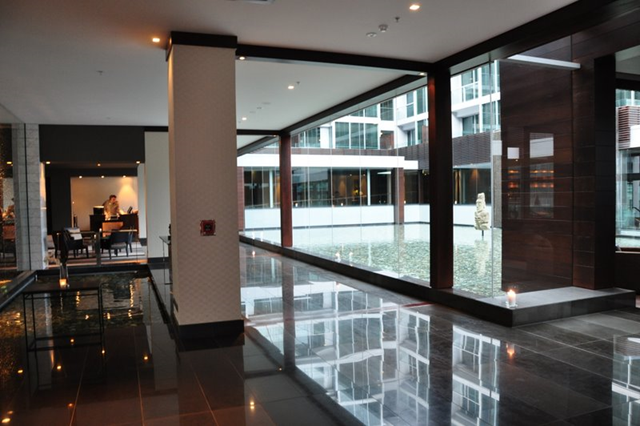 The hotel has a small indoor pool, which was quiet when we used it. There is a restaurant, but it was very pricey. The common areas were very nice, and lit by candles at night. Valet parking cost $25 NZD per day. There is street parking (which they pointed us to !) , and this is a great option on the weekend, but on weekdays, there is a 1 hour maximum. There are several public parking lots close by, but the rates they charge were actually pretty similar to how much the hotel charged. 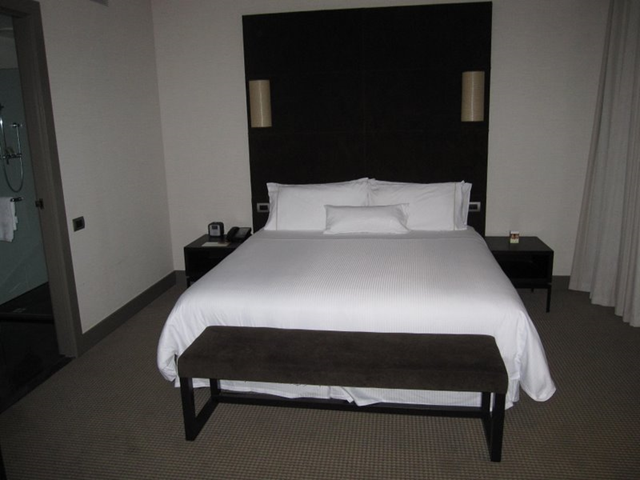 The room itself was beautiful – very spacious, very modern. 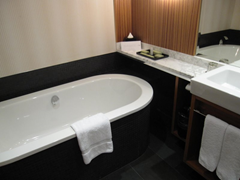 The bathroom was luxurious, with a huge tub for soaking. The bed was very comfortable. There was lots of space for our port-a-crib on the floor in front. There was no views from the room we were in, but the other side of the hotel would have views of the quay. 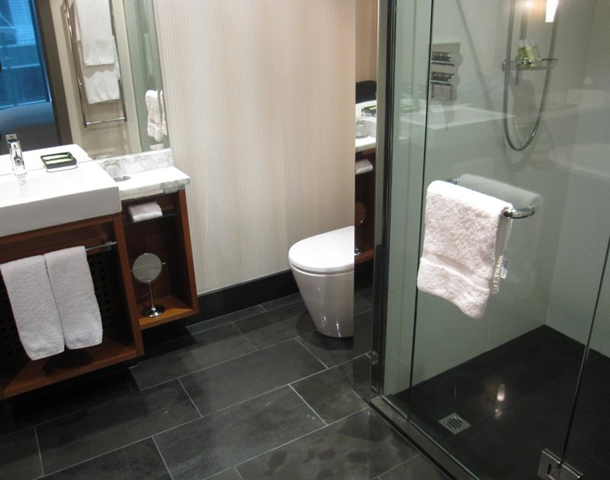 Wifi, as was almost always the case in a high end hotel, is pricey – $20 NZD per day. We were able to pull in a weak signal from outside for only 1 NZD per day, but it was not reliable.